Hard Rock Park, a 50-acre rock music-themed amusement park just outside Myrtle Beach in South Carolina… billed as the world’s first rock and roll theme park, opened its gates to the public in the spring of 2008. One of the first things visitors saw when they walked through the gates was a giant electric guitar—rising 90 feet over the park’s central lagoon, the statue loomed into view as park-goers strolled past the bell towers of the entry plaza, modeled after the buildings in the cover art of Hotel California. If they looked down as they approached the water, they would realize they were standing on the frets of another guitar, set into the pavement. Readers may recall our recent visit to The Internet Arcade, an online repository of payable versions of old arcade games. Now, also from Internet Archive, an incredible collection of vintage MS-DOS computer games. 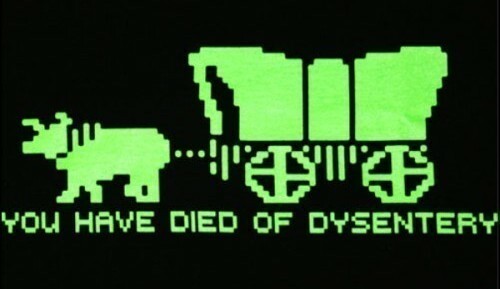 From Oregon Trail (from which, many readers will have known, the above image comes) to Prince of Persia, there are 2,400 of them available to play for free at Software Library: MS-DOS Games. As we relearn the arrow keys, we might recall that it was on this date in 1964 that the Beatles entered the U.S. pop charts for the first time, when “I Want to Hold Your Hand” debuted at #35 on the Billboard Hot 100; it went to #1 the following week. 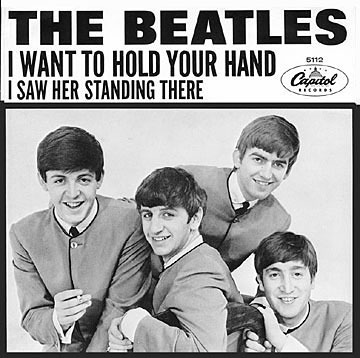 The single had already ascended to the pinnacle of the British charts: indeed, with advance orders exceeding one million copies in the U.K., “I Want to Hold Your Hand” would ordinarily have hit the top of the British record charts on its day of release (November 29, 1963), but it was blocked for two weeks by the group’s first million-seller, “She Loves You.” The release order was reversed in the U.S.; “I Want to Hold Your Hand” held the number one spot for seven weeks before being replaced by “She Loves You.” “I Want to Hold Your Hand” remained on the U.S. charts for a total of fifteen weeks, and remains the Beatles’ best-selling single worldwide. Earlier this year I reviewed a study that found that, simply by changing the weight of an object in hand, psychologists can manipulate how seriously a person takes an issue. In other words, when holding something heavy, matters seem heavy. Or, concerns seem weightier when one is weighed down. 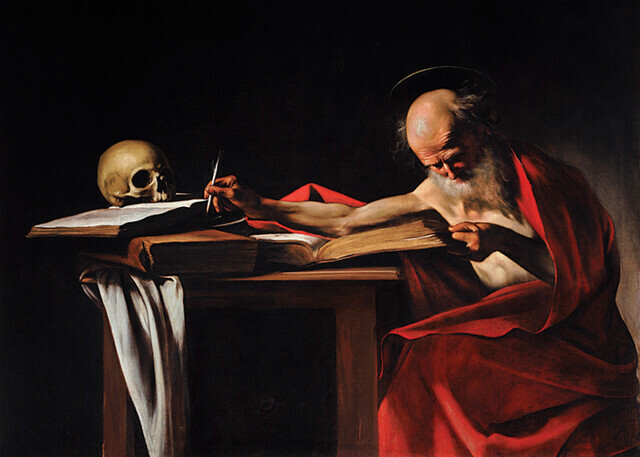 Thanks to an email from University of Southern California professor Norbert Schwarz, I was introduced to a whole series of studies on what psychologists call metaphorical effects. These are instances in which a metaphor commonly used to describe a psychological state or social reality can, in turn, induce that state or reality. So, for example, holding a warm cup of coffee makes people feel warmly toward each other (here), getting the cold shoulder makes people feel cold (here), people placed in a high location seem to be high in a hierarchy (here), and cleaning one’s hands makes a person feel morally clean (here). Schwarz was the co-author, with Spike W.S. Lee, on another example of a metaphorical effect. 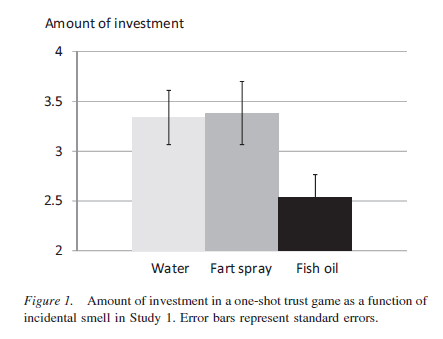 They wanted to know if smelling something fishy made people suspicious. It did. 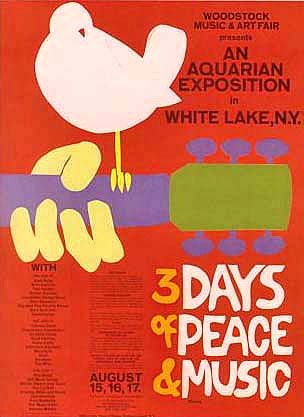 As we hold our noses, we might recall that it was on this date in 1969 that “An Aquarian Exposition: 3 Days of Peace & Music” opened in the Ctaskills in New York State. The organizers of the Woodstock Music and Art Fair– or Woodstock, as it is remembered– had hoped to sell 50,000 tickets; but by the week before the event, had moved 186,000. A last-minute change of venue presented them with a hard choice: hastily erect more/stronger fences and install additional security on the new site (the famous Yasgur’s Farm) or offer the event for free. The night before the event, with attendees already arriving in huge numbers, the promoters cut the fence. Ultimately an estimated 400,000 people enjoyed a (somewhat rainy) weekend of performances from 32 acts. 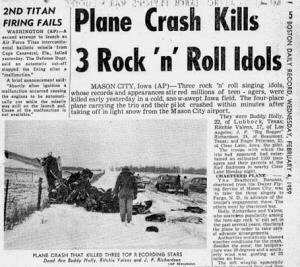 It was, as Rolling Stone opined, a defining moment in Rock and Roll. 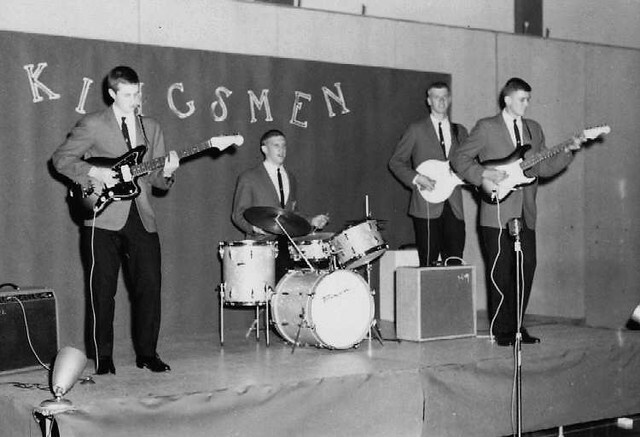 In 1963, a Portland high school band called the Kingsmen covered the song “Louie Louie,” originally recorded by Richard Berry eight years earlier. Their version has become a classic– though almost no one has any idea what the actual words are. (Hear it here.) As it happened, the band had a one-hour recording session in which to lay down both the A and B sides of their first record. To simulate a live performance, singer Jack Ely was forced to lean back and sing into a microphone suspended from the ceiling. 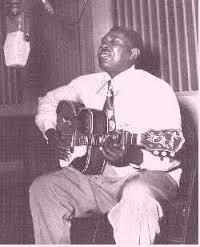 “It was more yelling than singing,” Ely said, “’cause I was trying to be heard over all the instruments.” It didn’t help that he was wearing braces at the time of the performance, further aggravating his infamously slurred words. 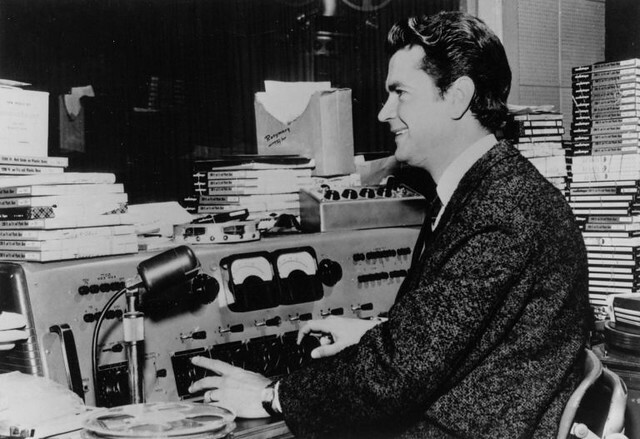 Still, the raw recording worked– it sold over 1 million copies, going gold. 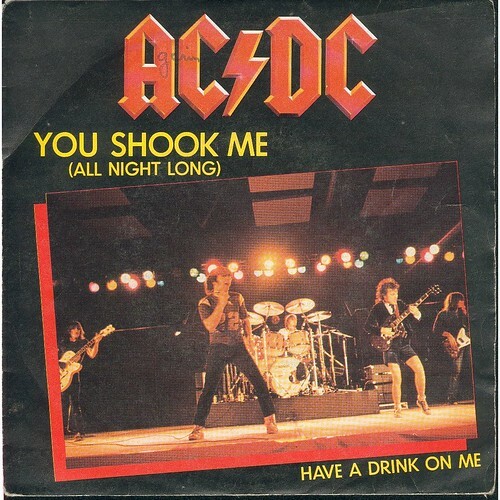 As we mind our manners, we might recall that it was on this date in 1980 that AC/DC earned their first Top 40 hit with “You Shook Me All Night Long.” The maiden voyage of Brian Johnson (who’d replaced the band’s original lead singer Bon Scott after Scott’s untimely the prior year), it was the lead single on Back in Black, an album that has sold over 20 million copies.